Not quite sure where to start when wanting to learn the banjo? Here it is… Never before has an entry level banjo included the features and tone of our Cripple Creek CC-100R. 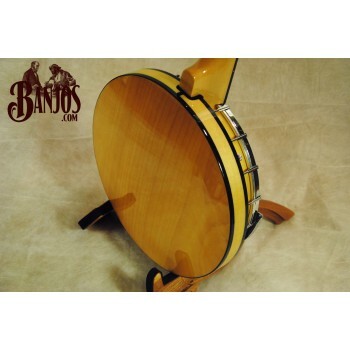 Check any competitive banjo in this price range and you’ll find that this model has "more bang for the buck". 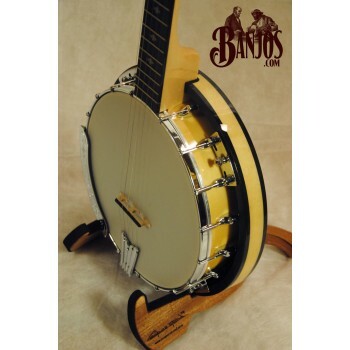 Over 7,000 Cripple Creeks have been sold in the last 12 years, and have proven by far to be the best student banjo for tone and playability in its price range. With a complete setup here at the Gold Tone Factory in Florida, they are durable, have low string action and are a pleasure to play. The CC-100R model features a hard maple neck, rim, and convertible resonator, black binding on the neck and resonator, dual coordinator rods, curly maple headstock veneer, Straightline tailpiece, brass tone ring, 2-way adjustable truss rod, and low string action for the beginning banjoist. The CC-100R includes a resonator for increased tone and volume when playing bluegrass-style and easily converts to an open back banjo to be played clawhammer-style. 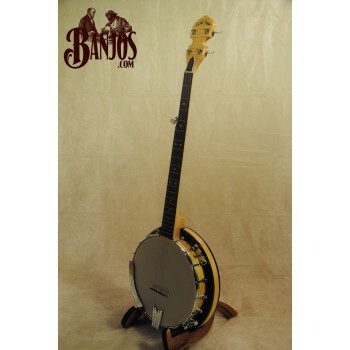 This model has helped to start thousands and thousands of people on banjo… Start your venture today with a Cripple Creek!